Valentines Day and chocolate just go hand in hand. If I had a choice between chocolates and flowers, I’m pretty sure I choose chocolates. Whoa. Back that up. If I had a choice between good quality chocolates and flowers. Then I hear the words that my neighbor isn’t home and would I mind giving her the flowers when she arrives. Chocolate Pot de Creme (POH-də-KREM) is a dreamy Valentine dessert. It’s basically baked pudding. It’s thick, rich and creamy. My kind of dessert. You will be amazed at how easy it is to make. In a medium sauce pan over medium heat, pour in 2 cups of cream. 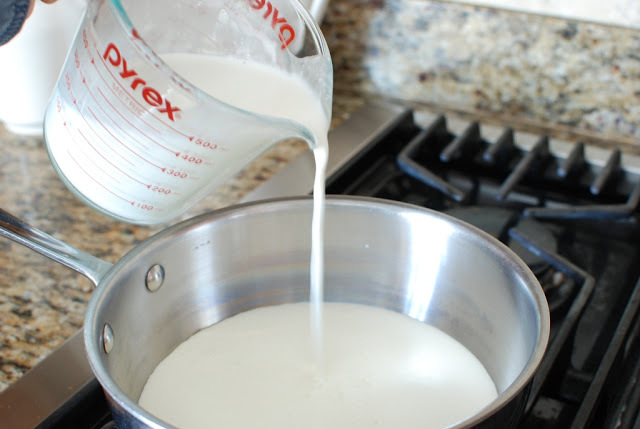 Add 2 cups milk. I’m using whole milk, but I have used 2% milk. Bring the milk and cream to a low simmer. 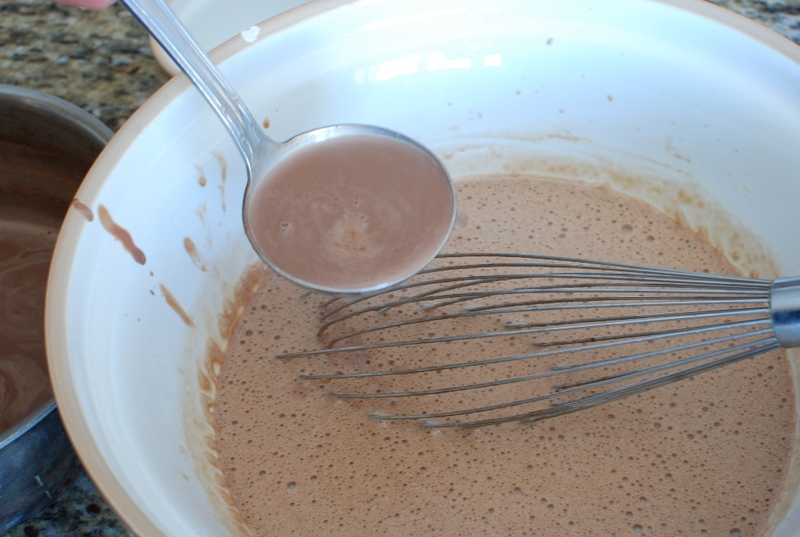 Add the 8 ounces of chopped chocolate. I’m using Callebaut semi-sweet. You can use your favorite chocolate. 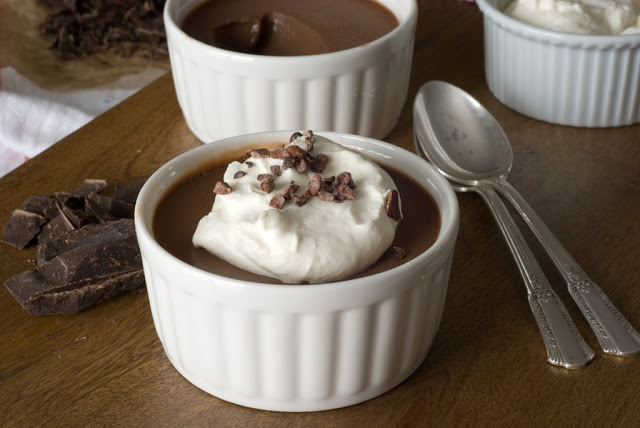 It’s amazing how you can change the flavor of the pot de creme just by changing up the chocolate. My favorite chocolate to use is Amano chocolate. If you use milk chocolate, I’ll be extremely disappointed in you and you will no longer be my friend. 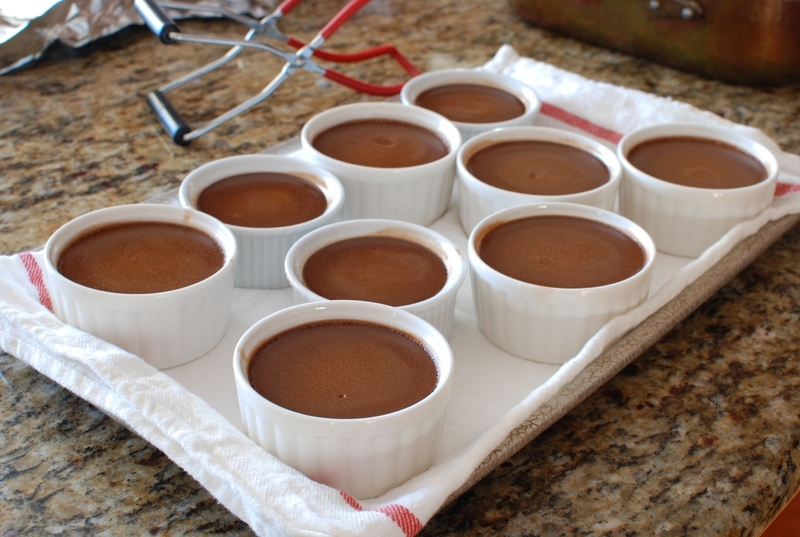 You will also have a cloyingly sweet pot de creme. 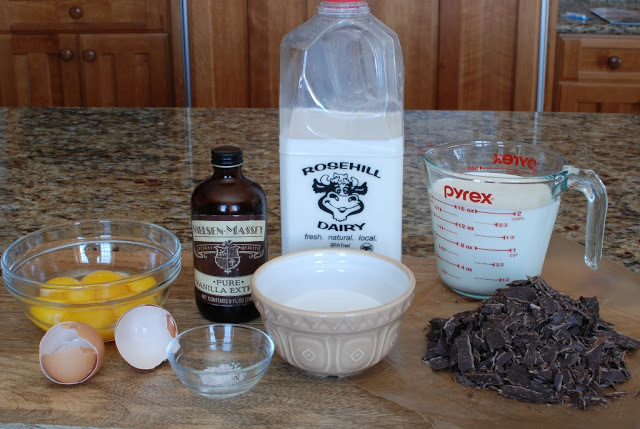 If you are not a dark chocolate fan, just omit the chocolate and add vanilla bean. 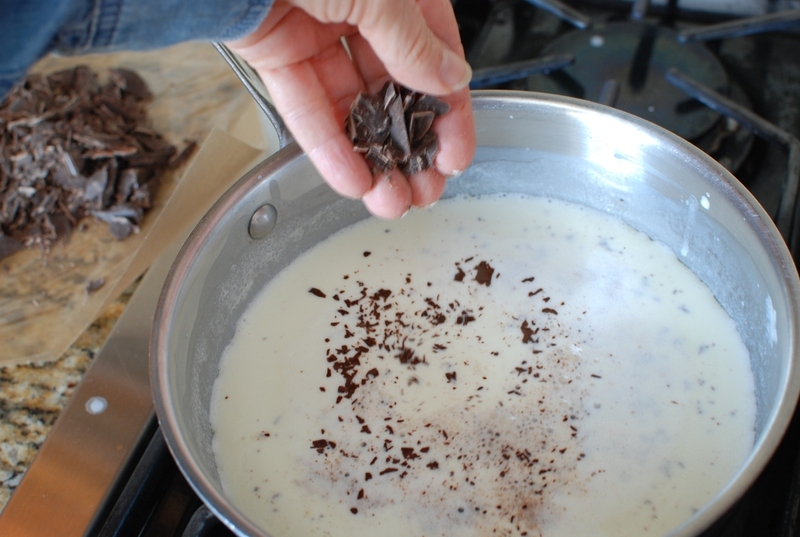 Stir the cream mixture until the chocolate melts. 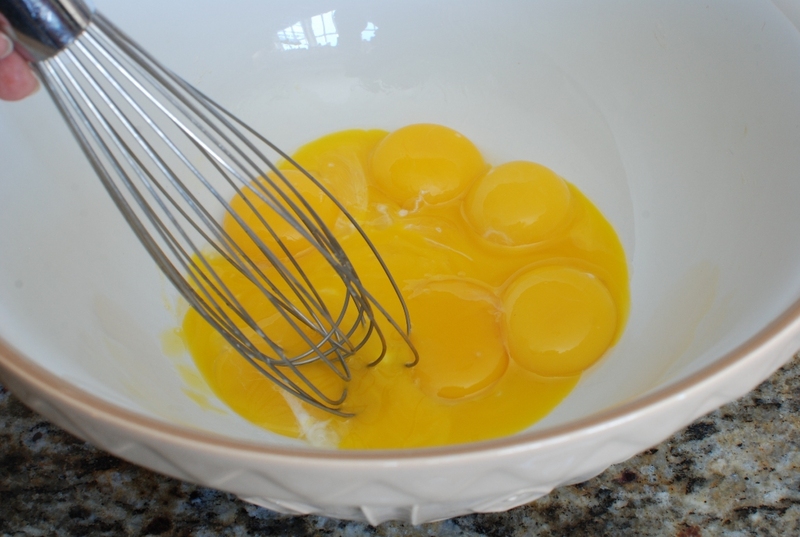 In the meantime, whisk the 8 egg yolks. 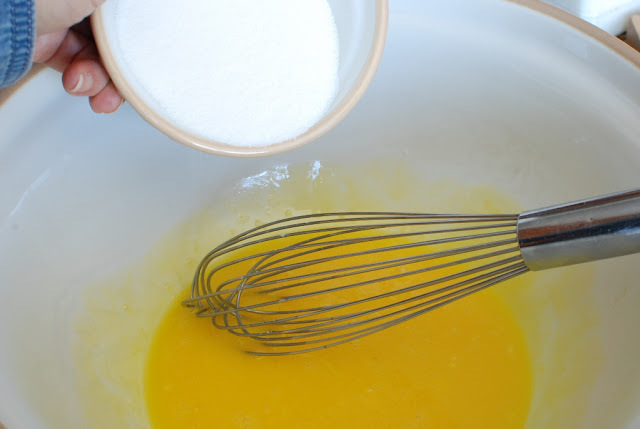 Slowly add the sugar to the egg yolks while beating. 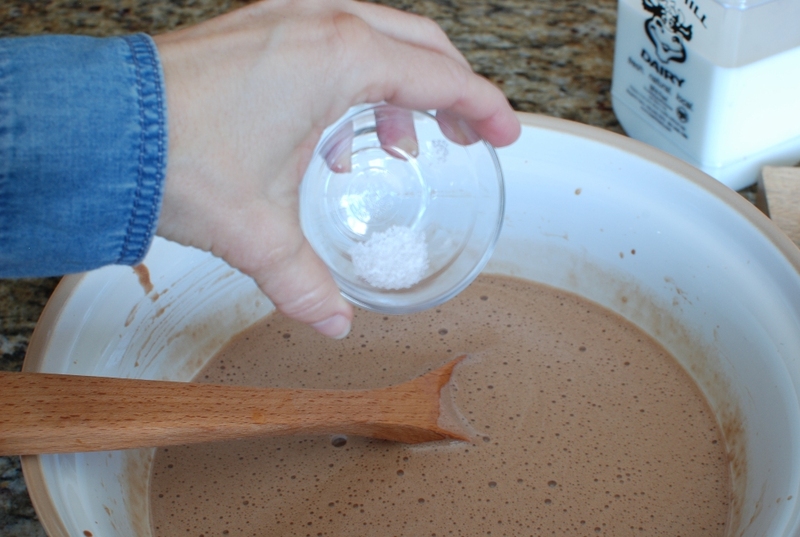 You will want to be mixing the entire time you are adding the sugar. DO NOT just dump the sugar into the egg yolks. The sugar will burn the egg yolks and they will look like cooked egg yolks, which you do not want to add to your pudding. 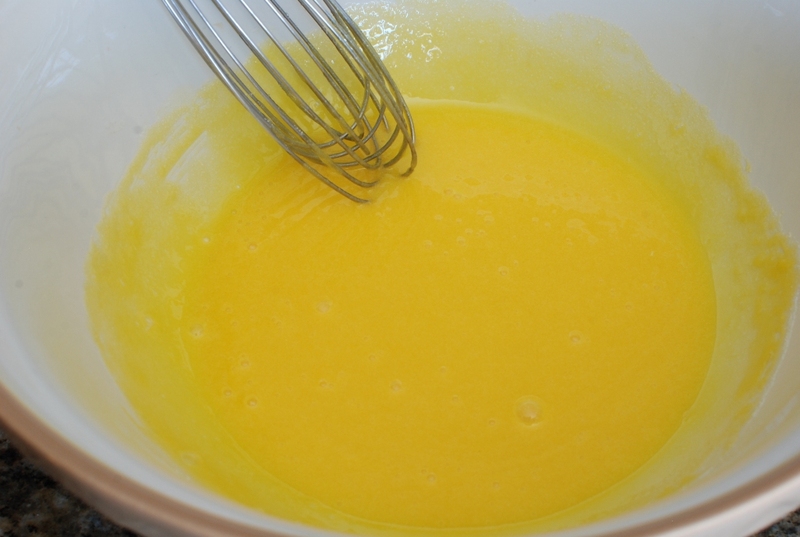 Make sure the sugar and yolks are mixed thoroughly and the mixture thickens. 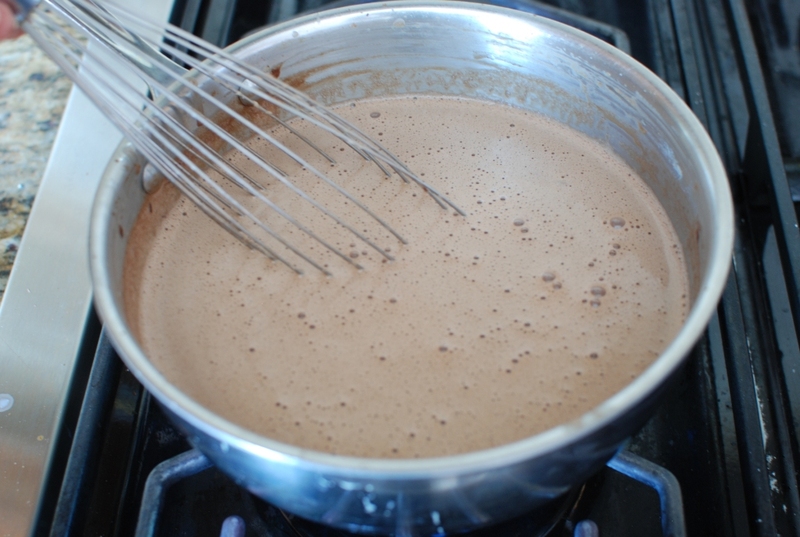 Now we are going to temper the egg yolks by slowly adding the hot chocolate mixture. This will warm the egg yolks slowly so they don’t cook. 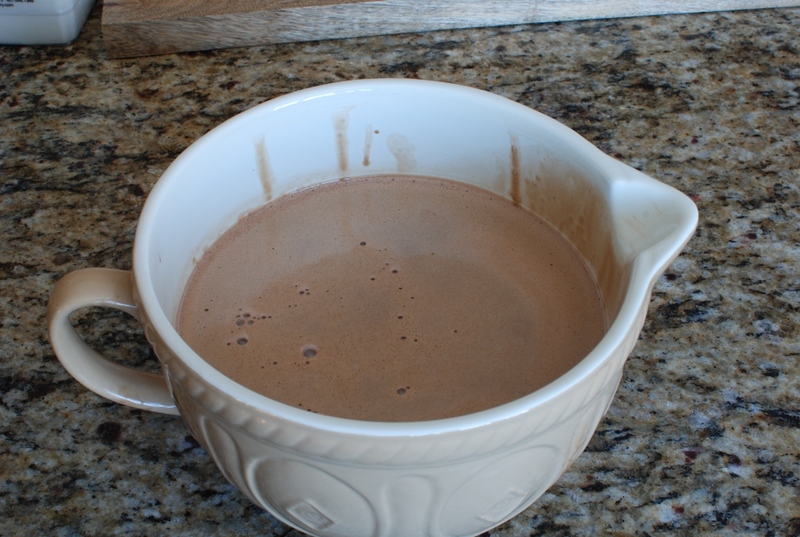 Just add the hot mixture one ladle full at a time and mix well after each addition. 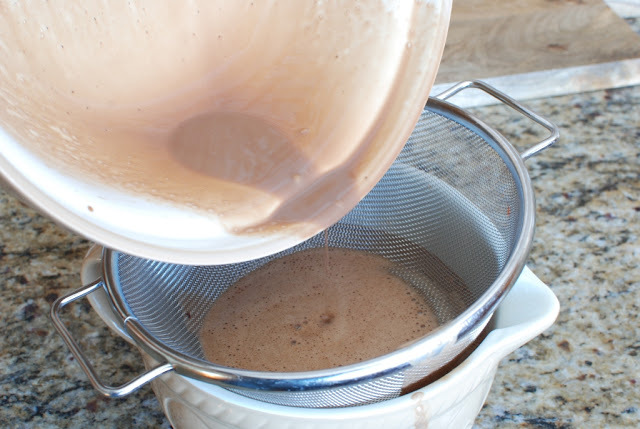 Pour the mixture through a fine mesh strainer. This will make the custard nice and smooth and will remove any unwanted bits that may be there from the eggs. 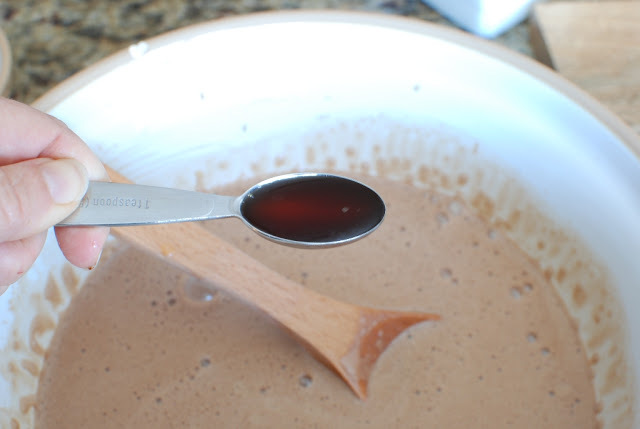 I like to strain the chpcolate mixture into a bowl with a spout so I can fill the ramekins easier. 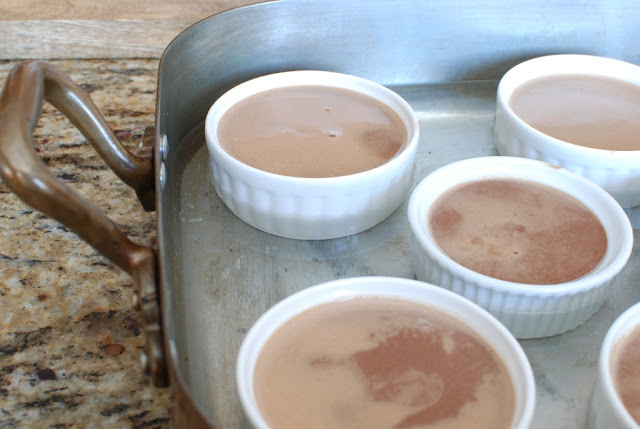 Place 8 6-ounce ramekins in a pan with high sides. For some reason I thought I would only need 6 ramekins. Just keep filling ramekins until you run out of the pot de creme mixture. Carefully. Ever so carefully, fill the pan with water. The water should fill the pan until it is half way up the sides of the ramekins. I removed a couple of the cups for ease of pouring the water. 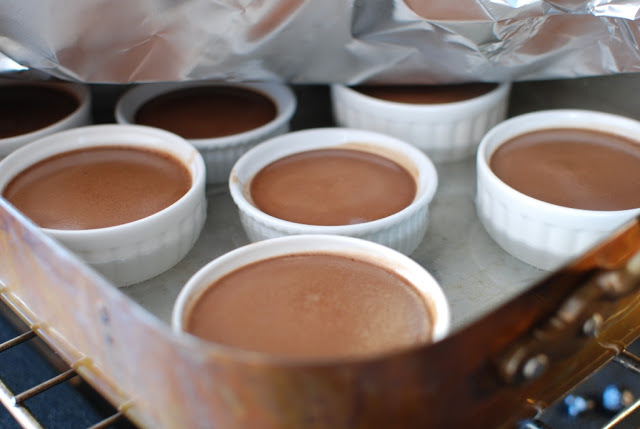 The water will create a gentle hug around the pudding. It will create a nice steam inside and help the pudding cook slowly. The water is half way up the sides of my ramekin. 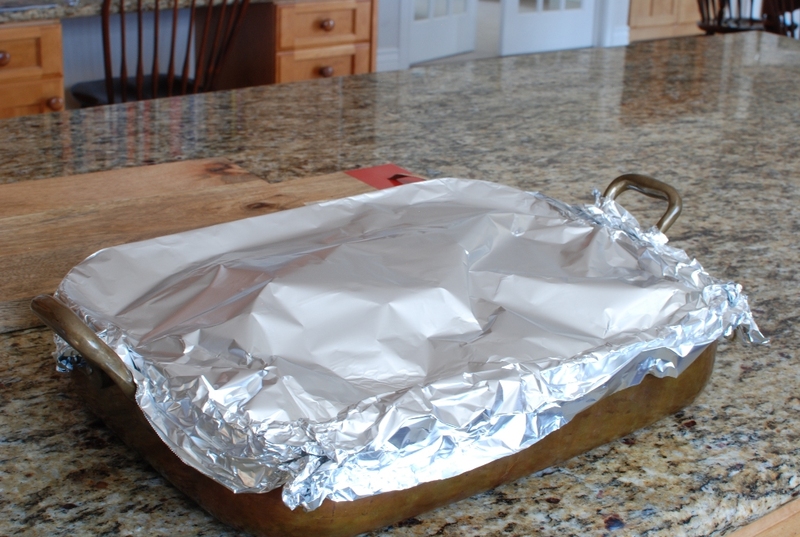 Cover the pan completely with aluminum foil. I am using a large sheet of heavy duty because it is wide enough to cover the entire pan. Crimp the foil around the sides of the pan. 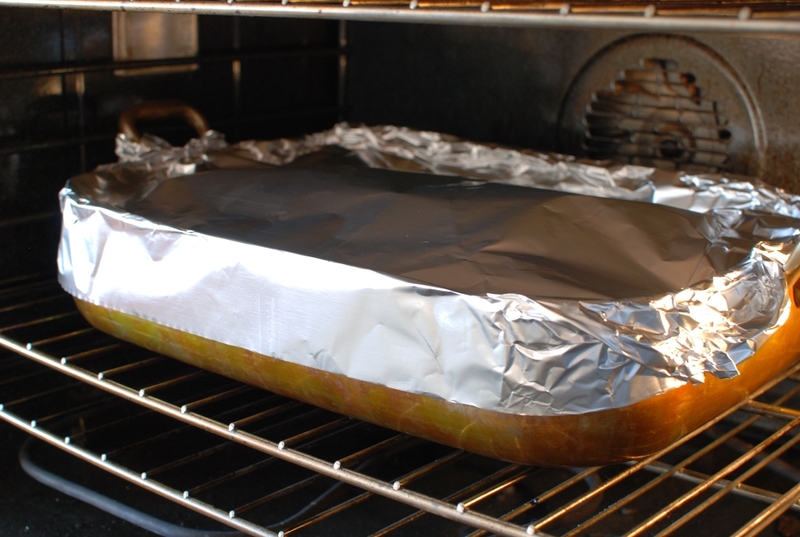 Place the pan in a preheated 325 degree oven. I want my pudding to bake on low heat. 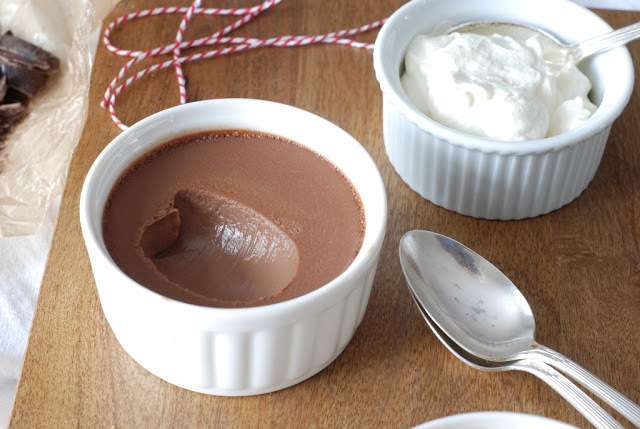 There are two things you can do wrong with baking the pot de creme. 1) under cooking and 2) overcooking. Every oven cooks differently. The recipe suggests to cook for 25 – 50 minutes. That is a pretty big window of time. 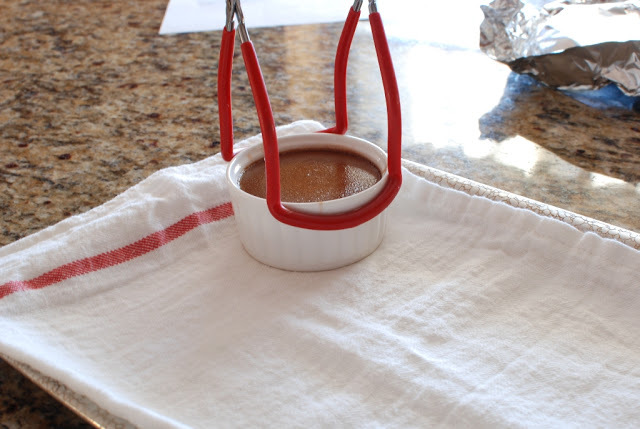 I start to check the pot de creme after 25 minutes in 5 minute intervals. Lift the foil and gently jiggle the pan if the liquid appears thin, cover and continue to bake. The pudding is done when the jiggle resembles set jello. This batch took 45 minutes to cook. As you can see the mixture has set slightly and is a tiny bit puffed. Not much. If you over bake the pot de creme it will curdle and will not be smooth. Immediately remove from the hot water bath. 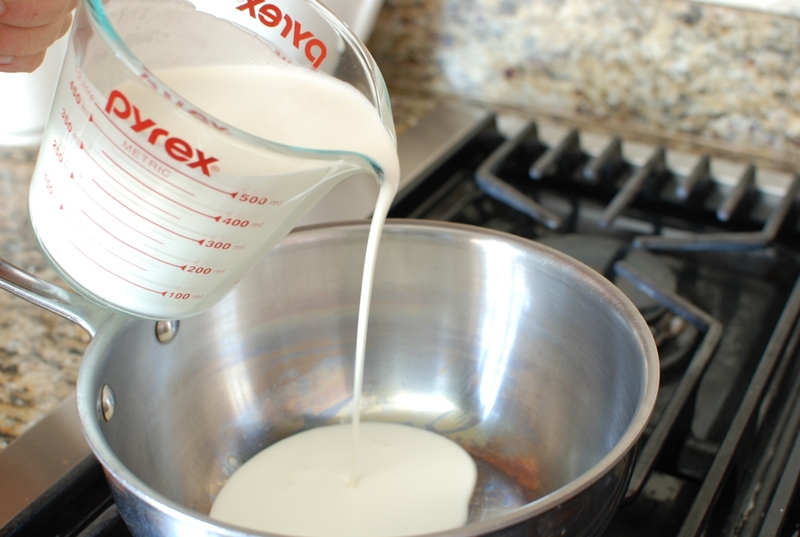 You do not want the mixture to continue cooking. I am using my canning tool to remove the hot ramekins. Genius. I like to line a baking sheet with a towel. 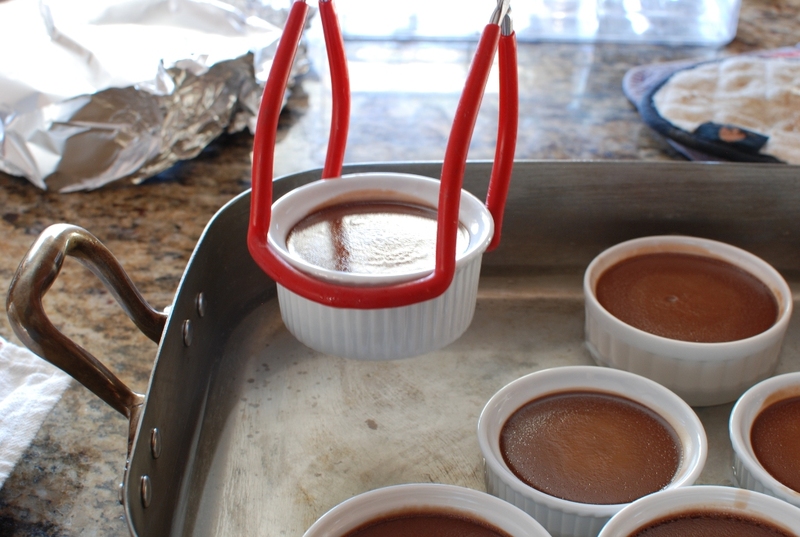 This prevents the ramekins from sliding all over. Place immediately in the refrigerator to cool. After the pot de creme has cooled, cover with plastic wrap and continue to refrigerate for at least 2 hours and up to 2 days. I took a spoonful out so you can see how thick and creamy the pudding is. It feels like that in your mouth. 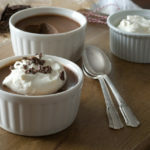 I like to top the pot de creme with lightly sweetened whipped cream and a few cocoa nibs. I like the crunch the cocoa nibs give, but you could use shaved chocolate. 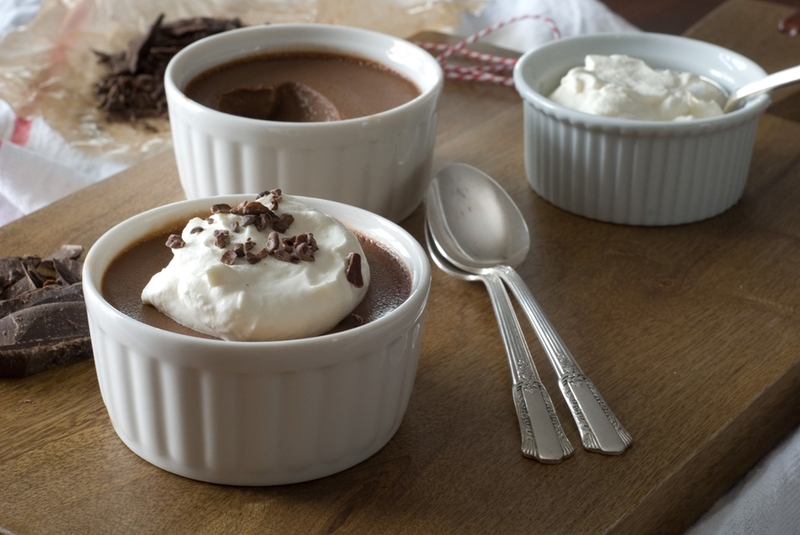 Now, if you will excuse me, I’m going to take this Pot de Creme and eat it while watching The Biggest Loser. Use 8 6-oz. ramekins. Heat the oven to 325°F. 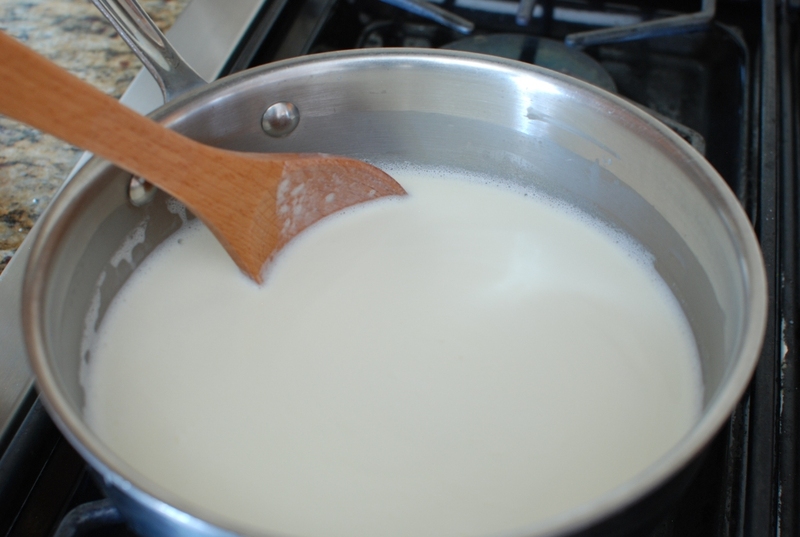 Heat the cream and milk in a medium saucepan over medium heat until scalded (you'll see small bubbles on the sides of the pan). Split the vanilla bean in half, if using, and scrape the seeds into the cream. 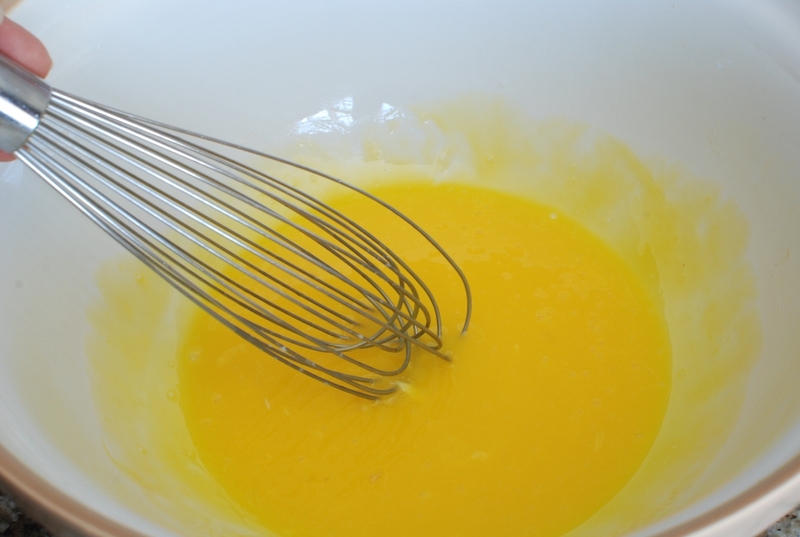 Meanwhile, in a medium bowl, slowly whisk the sugar into the egg yolks. 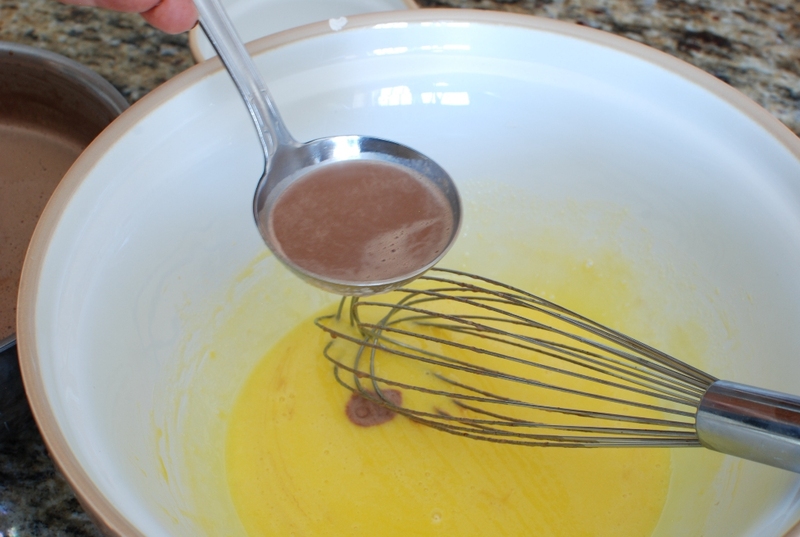 Slowly whisk the hot cream/milk into the sugar/yolk mixture. 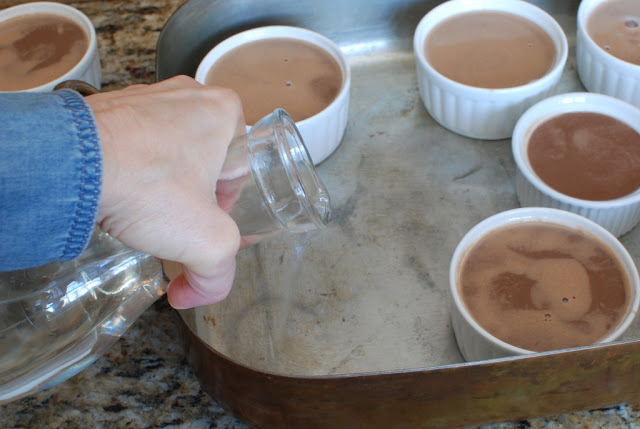 Strain the mixture through a fine sieve into a pitcher or measuring cup. Stir in the salt and vanilla extract, if using. Arrange eight 6-oz. ramekins in a baking dish with deep sides. Pour the mixture into the ramekins, fill the baking dish with water to come halfway up the sides of the ramekins and cover the dish with foil. Bake until just set, 25 to 50 minutes. 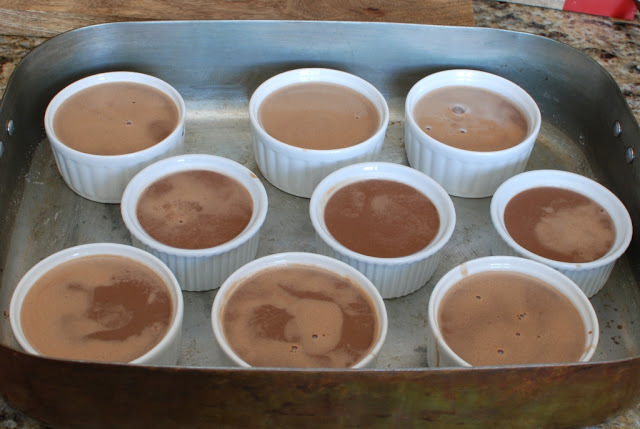 Be sure to start checking early; baking time will depend on the thickness and depth of your ramekins and baking dish. 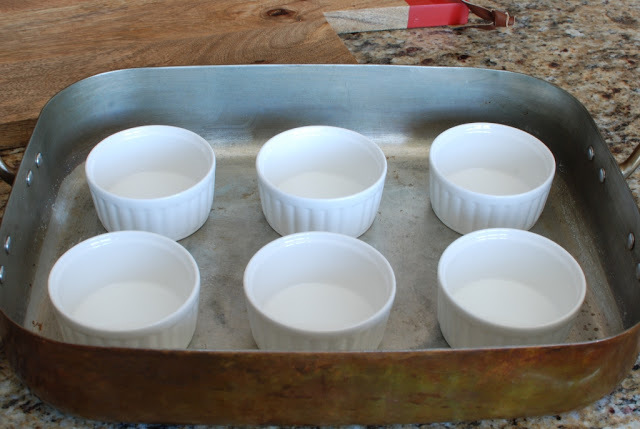 Carefully remove the baking dish from the oven and let the ramekins cool in the water bath. 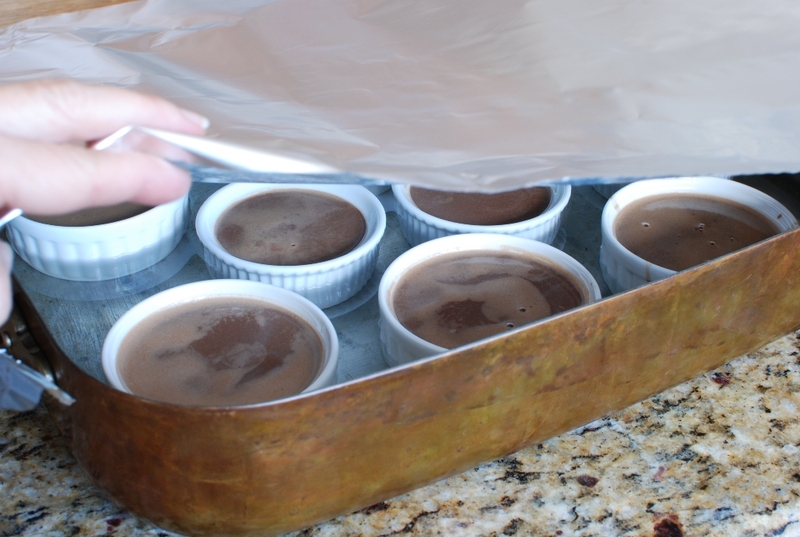 Remove, cover with plastic wrap and refrigerate at least 2 hours or up to 2 days. Serve pots de crème directly from their ramekins. This recipe was taken from Fine Cooking and chocolate added. this looks amazing!!! i have been looking for a valentine's dessert to try, and this looks like a winner 🙂 thanks for sharing! Just discovered your blog through Pinterest…..you are totally my new fave LOL! I'm usually looking at crafting blogs, but cooking is certainly a craft and I love to try new things. I can't wait to try your bread recipes! Thank you for sharing and making it fun! What a kind comment. Thank you so much. I'm so glad you found me. I really enjoyed reading your recipe! I've just rocked my 10 month old baby to sleep and feel like I'll never cook anything more than sweet potatoes again so this is a little culinary vacation for me. I appreciate the photos along w/ the descriptions that is how I learn best (a little from column A a little from column B). I feel like I could cook this now. Also, I have totally watched THE BIGGEST LOSER while eating Ben and Jerry's so thefinal sentence cracks me up. Thank you so much for your comment Jennifer. Rocking babies beats cooking anytime. Hahahaha I just KNEW that I wasn't the only one watching those poor people working their guts out while I ate something I shouldn't.